El Tránsito is small fishing village home to four of the most consistent and un-crowded breaks in the Central Pacific region of Nicaragua. Find a range of volunteer opportunities in this close-knit community no matter what you do. Find deeper meaning to your surf trip by volunteering with local projects and experiencing an unfiltered look into the everyday life and culture. Teach, empower and encourage the community through arts, crafts and other creative expressions. 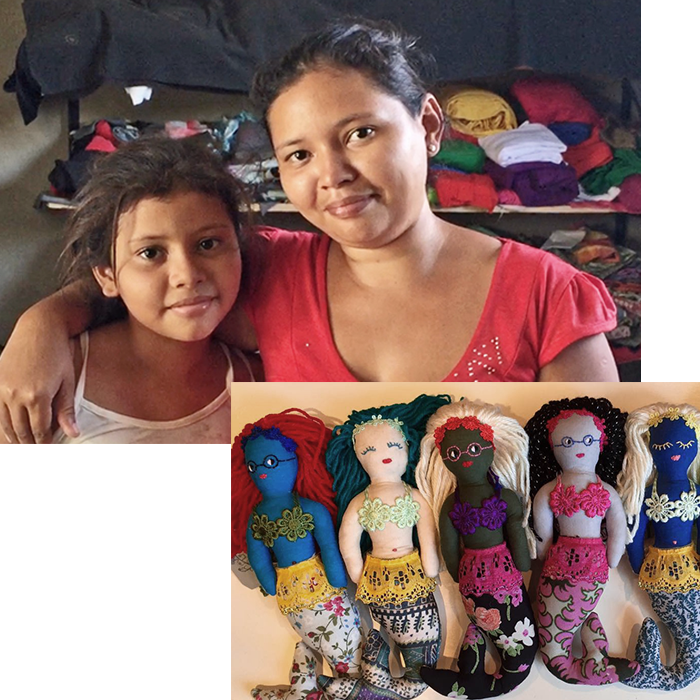 Volunteer at the local art center to help design fashionable goods that improves lives while encouraging self-sustainability. CREA – Create, Reinforce, Educate, and Advance – is an after school program designed to improve university entrance exam passage rates. Teach math, reading, and writing skills to make a lasting change in students’ lives. We will work with the local community to put together a program that is tailored to your skill set. Just let us know what you’d like to help with, and we’ll take care of making it happen! 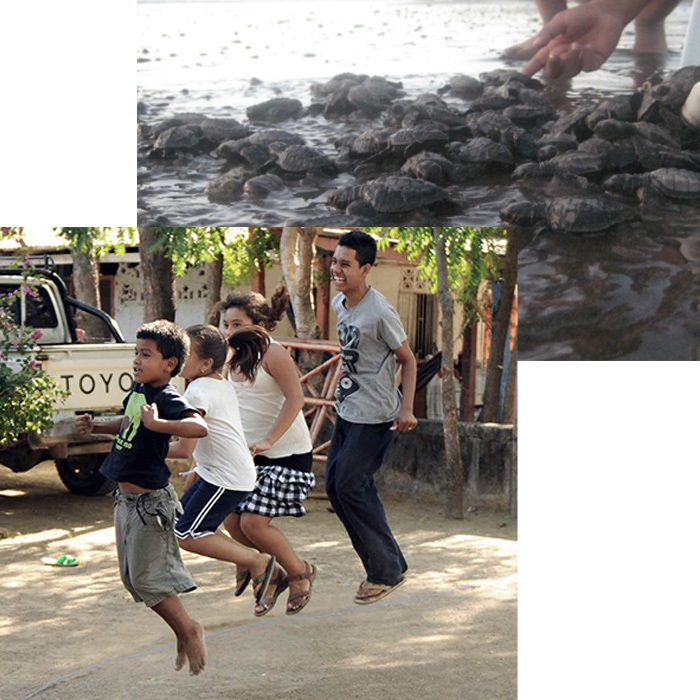 El Tránsito is small fishing village located on the Pacific Coast about one hour from Managua. The people who live, about 1,800, are happy and content even in their poor living circumstances. This loving community is innocent, safe, and wholesome. Not to mention, the beach has amazing surf and the sunsets are unforgettable. While you volunteer, you will stay at SOLID, 5 star lodging that sits right at the water’s edge and in front of the most consistent surf break in the region. Each room has a with a private bath, A/C and lock box. Did we forget to mention the pool, yoga studios, and full-service bar that delivers straight to your hammock? Oh yeah. The Center for the Arts, the CREA Program, English Language Teaching, the “Learning Garden”, the Medical Clinic, the “Paint the Town” Project, Kid’s Sports Programs, Environmental / Wildlife Education and Beach Clean Ups. Projects will vary based on your skills and interests and the needs in the community at the time of your visit. Chose from one of the specific areas listed above or we will work with the local community to put together a program that is tailored to your skill set. Just let us know what you’d like to help with, and we’ll take care of making it happen! Nicaragua has waves for all levels: world-class reef barrels to mellow beach breaks. Due to lake Nicaragua, the country experiences 300+ days of offshore wind that create desirable surf conditions (waves are smoother and less choppy), not to mention warm water and air year-round. The weather here ranges from the high 80’s- low 90’s °F (~27-33°C), with the water in the low 80’s °F (~27°C) year round. On-site, bi-lingual emergency responder guide and 24 hour security. Something very hard to find...great mix of waves, awesome food, nice rooms, and you get to hang and learn from some of the best surfers around. There are no crowds no commercialism...Thanks for everything! The surfing spots and opportunities are plentiful; there are three great breaks within walking distance and if the wind isn't cooperating, they can drive you to a better spot. We had such a blast these last two weeks hanging out at ETCA and getting to know some of the kids and youth and the ladies that work there. I had an amazing time at ETCA playing with and getting to know the kids of the community. Lots of "ping pong", laughs, spanglish conversations, and on the last day we made bracelets! Couldn't say enough about this place: beautiful beach, spotless facilities, and the best food you'll eat in Nicaragua, top it all off with fun, attentive, knowledgeable owners and an always smiling and helpful support staff. You will absolutely regret coming here-you'll never want to leave and nowhere else you go will be as good! !